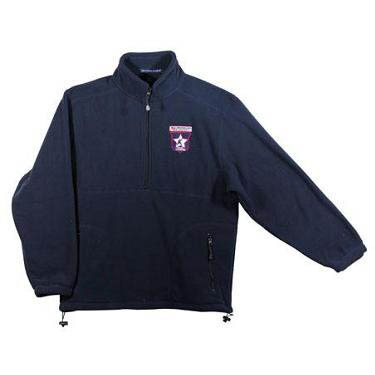 Unlined, Loftex fleece with stand up collar. Quarter zip pullover with zippered pockets. Elastic cuffs and open hem with shockcord drawstring.